It’s too bad there aren’t lobbying groups that represent specific foods, practices and supplements. If there were, I could sit back in my office and take meetings all day long. An advocate for wild Alaskan salmon might drop by one afternoon and fill me in on the latest news about the healthiest ways to cook this prized fish. Or maybe a cheerleader for magnesium could make an appointment to reinforce the case for including plenty of this essential mineral in women’s diet in order to discourage cardiovascular disease. I’d even welcome a visit from a good, old fashioned dentist touting dental floss as a way of boosting brain performance in seniors. But alas, this type of lobbyist simply does not exist. That’s why I often travel around (offline and online) to track down such information. I am, in essence, an unpaid lobbyist for all of these causes. In December 2008, I wrote a column about how to select the safest possible fish options. New research presented at the American Heart Association’s Scientific Sessions offers some additional advice about how to prepare seafood in order to derive the greatest benefits. A 12 year analysis of over 185,000 men and women with ages ranging from 45-75 found that eating baked or boiled fish and avoiding dried, fried and salted fish is the optimal way to go in relation to heart health. The researchers examined the amount, frequency and variety of fish eaten by a multi-ethnic group of men and women living in Hawaii and Los Angeles, California. The quantity of soy foods with omega-3 fatty acids (soybeans, shoyu and tofu) were also recorded and factored into the overall risk assessment. Overall, men eating the largest amounts of omega-3 fats demonstrated a 23% lower risk of heart disease. This group was classified as consuming an average of 3.3 grams of omega-3s daily. This same effect was not consistently shown in the female study volunteers. In fact, dried and salted fish intake was actually associated with a greater risk of cardiovascular disease in this segment of the population. I wrote a two-part column about magnesium in January 2009. A new study conducted at UCLA offers new evidence of a link between high levels of dietary magnesium and improved heart health in women. In order to evaluate this proposed connection, 3,713 postmenopausal women who were free of cancer, cardiovascular disease and diabetes had blood tests to determine endothelial function (indicating artery and circulatory health) and inflammatory markers. They also submitted food frequency questionnaires in order to quantify their typical, daily magnesium intake. The women with the highest magnesium consumption were found to have the lowest levels of C-reactive protein (CRP), interleukin 6 (IL-6), TNF-alpha-R2 and sVCAM-1. Higher levels of these substances are associated with increased inflammation and poor arterial health. These results were independent of other dietary factors such as fiber, folic acid, fruit, saturated and trans-fat and vegetable intake. One the best parts about my job is that I’m afforded the opportunity to ferret out research just like this. But what really makes it worthwhile is that there are people out there like you who are willing to read what I have to share. My sincerest hope is that you’ll use this information personally and discuss it with your family and friends at the dinner table, at a neighborhood party or even around the water cooler at work. Sometimes hearing about health topics in a comfortable and friendly environment can be much more influential than learning about it in a doctor’s office or even on a web site such as this. So I want to put out a special request to all of you: if you know someone who you think may benefit from this site, please let them know about it. If not, please consider passing along some of what you learn here in a more informal way – as a brother or sister or a colleague or friend just offering some friendly advice to someone you care about. If you’d be willing to do that, then the work I’m doing here can greatly expand its reach. THIS IS THE FIRST TIME I HEAR THE WORD LOBBYIST WITH A POSITIVE SOCIETAL CONNOTATION AND SCOPE! I THINK THAT YOU ARE ACTING AS A VERY USEFUL CATALYST AND DESERVE TO BE MADE KNOWN TO OUR GOOD FRIENDS, ACQUAINTANCES AND FAMILY! I AGREE THAT MANY OF YOUR BENEFICIARY READERS WOULD FEEL SATISFIED OF ACCOMPLISHING A GOOD DEED BY ADVOCATING THE USE OF YOUR SITE OR AT LEAST SHARING AMONG THEIR CONTACTS SPECIFIC NEWS WHEN APPROPIATE! Signs of periodontal disease also shows heart issues. 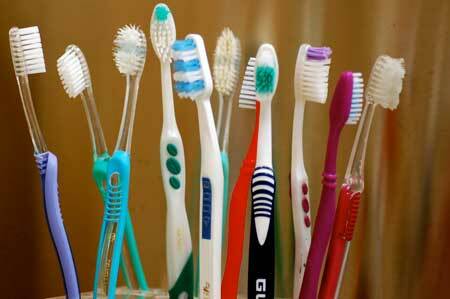 It has been known that bacteria has more entry point when a person have a periodontal disease. Thanks, Steven. I think you’re right on about that. I’ve devoted a few previous columns to that very topic. It’s an important health issue to consider, IMO. J Altern Complement Med. 2017 Jan 9. Do Wellness Tourists Get Well? An Observational Study of Multiple Dimensions of Health and Well-Being After a Week-Long Retreat. BACKGROUND: Wellness retreats use many complementary and alternative therapies within a holistic residential setting, yet few studies have evaluated the effect of retreat experiences on multiple dimensions of health and well-being, and no published studies have reported health outcomes in wellness tourists. OBJECTIVES: To assess the effect of a week-long wellness-retreat experience in wellness tourists. DESIGN: A longitudinal observational study with outcomes assessed upon arrival and departure and 6 weeks after the retreat. SETTING: A rural health retreat in Queensland, Australia. INTERVENTIONS: A holistic, 1-week, residential, retreat experience that included many educational, therapeutic, and leisure activities and an organic, mostly plant-based diet. OUTCOME MEASURES: Multiple outcome measures were performed upon arrival and departure and 6 weeks after the retreat. These included anthropometric measures, urinary pesticide metabolites, a food and health symptom questionnaire, the Five Factor Wellness Inventory, the General Self Efficacy questionnaire, the Pittsburgh Insomnia Rating Scale, the Depression Anxiety Stress Scale, the Profile of Mood States, and the Cogstate cognitive function test battery. RESULTS: Statistically significant improvements (p < 0.05) were seen in almost all measures (n = 37) after 1 week and were sustained at 6 weeks (n = 17). There were statistically significant improvements (p < 0.001) in all anthropometric measures after 1 week, with reductions in abdominal girth (2.7 cm), weight (1.6 kg), and average systolic and diastolic pressure (-16.1 mmHg and -9.3 mmHg, respectively). Statistically significant improvements (p < 0.05) were also seen in psychological and health symptom measures. Urinary pesticide metabolites were detected in pooled urine samples before the retreat and were undetectable after the retreat. CONCLUSION: Retreat experiences can lead to substantial improvements in multiple dimensions of health and well-being that are maintained for 6 weeks. Further research that includes objective biomarkers and economic measures in different populations is required to determine the mechanisms of these effects and assess the value and relevance of retreat experiences to clinicians and health insurers. Ethiop J Health Sci. 2017 Sep;27(5):531-540. Periodontal Therapy with 0.25%Lemongrass Oil Mouthwash in Reducing Risk of Cardiovascular Diseases: A 3-Arm Prospective Parallel Experimental Study. Background: Periodontal disease is associated with cardiovascular diseases because of its role in host immune-inflammatory response. Serum lipids are the commonest risk factors between periodontal disease and cardiovascular diseases. Materials and Method: A double blinded randomised clinical trial was carried out among 45 subjects with generalised severe periodontitis. They were divided into 3-groups of 15 subjects each. Group A: 0.25% lemongrass oil mouthwash, Group B: 0.12% chlorhexidine mouthwash and Group C: Oral prophylaxis only Group. Oral examinations like assessment of Probing Pocket Depth and Clinical Attachment Loss and Bio-chemical tests like assessment of C-Reactive Protein, Total Cholesterol, High Density Lipid, Low Density Lipid and triglycerides were conducted at baseline followed by oral prophylaxis at the same visit. Reassessment of the above mentioned parameters were done after 3 months of intervention. Data so collected were subjected for statistical analysis using SPSS ver. 20.0. Results: A statistically significant reduction in C-Reactive Protein, Probing Pocket Depth, Clinical Attachment Loss, Total Cholesterol and Low Density Lipid level in 0.25% lemongrass oil mouthwash group was found. On comparing a statistically significant difference was observed for the post intervention scores of Probing Pocket Depth and Clinical Attachment Loss only; for Group A v/s C and Group B v/s C.
Conclusion: 0.25% Lemongrass oil mouthwash was found to be a good herbal alternative; both in the treatment of chronic periodontitis and reduction in the level of serum markers of Cardio Vascular Diseasess.